Every single day of the year, the sun beats down on your garage door, bleaching the paint and causing damage to the door, itself. That’s why, at GARAGA, we are dedicated to providing garage doors that last and look amazing for years to come, even under the harshest conditions. We provide more than just R‑value. We provide garage doors with the best weather stripping and thermal breaks to prevent winter chills from getting into your garage. Even the best door will suffer if it’s not installed properly. That’s why, at GARAGA, we have a network of certified technicians and installers. In Uxbridge, MA, our installers and techs have over 100 years of combined experience with garage doors. 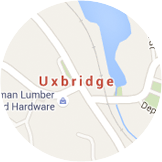 What other customers from Uxbridge, MA area say about Garaga? We are very satisfied with our new garage door. After stating what type we were seeking, we were given three options and pricing to choose from. There was no hassle at all. Easy sales experience, full product offering, helped us make a selection based on our needs. They delivered and installed when they promised. The doors met all our expectations. Overall good experience!! Read more on Door Pro Inc. According to one cost-value study* in Remodeling magazine, the average cost for midrange garage door replacement projects in New England is $1,674. Plus, homeowners recoup 84% of the cost of a garage door replacement at resale. Choose from a variety of models. Test out different colors and patterns. Add windows and other accessories. 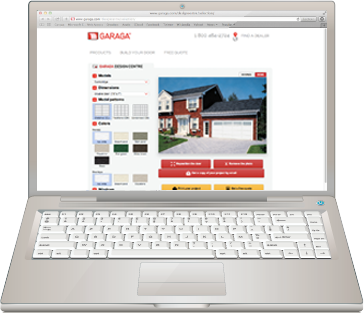 Upload a picture of your home to see how your new garage door will look. *This is according to the 2015 Cost vs. Value study made by the magazine Remodeling. If you’re wary of salesmen who always try to get you to buy the most expensive product available, you’ll be relieved when you talk with our dealers. They are dedicated to making sure that you know all of your options, and they’ll listen to all of your needs and wishes, including your budget limitations. They’ll help you make the right decision every time, and they’ll never pressure or rush you. If you’ve ever worried that a home invader might get into your house through your garage, you’ve got nothing to worry about with LiftMaster garage door openers. 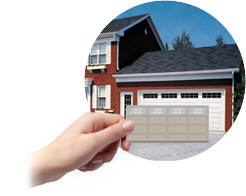 They’re highly reliable, and their operating system ensures the security of your garage door. We proudly carry only the very best products on the market, including LiftMaster garage door openers and accessories. 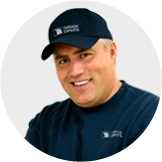 We guarantee that the technicians, repairmen, and installers who work for GARAGA are all friendly, knowledgeable, and professional. Because we care about customer satisfaction above all else, we only employ the finest technicians and installers to ensure that your doors are always installed and maintained properly and safely. Want to make sure that your garage door is functioning properly, smoothly, and safely? Contact one of our dealers today and have one of our expert technicians come out to inspect your door and give you peace of mind. Follow I‑495 S to MA‑138 N in Raynham.